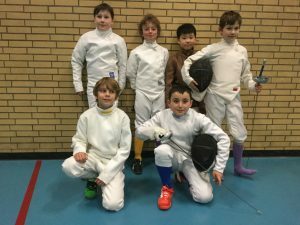 On Saturday the 11th of March at our fencing hall all youth teams won their second equipe meetings. The youngest age group beat Ermelo by 36 to 30 touches. The team members where: Bodil, Sep, Leonardo, Tommy and Alec. Due to an injury Zee couldn’t fence, but supported his team members. 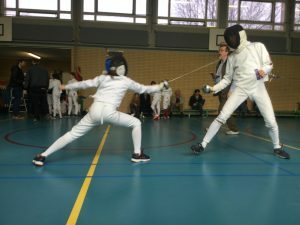 The older teams fenced against Vivas Baarn. The team with Emma, Jesse and Rutger won 45-30. the team with Cheyenne, Julia and Shawn won 41-33.